Are you looking for a new mobile game to play this weekend? There are lots of new options for you to try, including Talking Tom Gold Run, an endless runner from Outfit7 Limited. The latest game in the Talking Tom and Friends franchise challenges players to survive as long as they can in each run by swiping to avoid obstacles. Next, Netmarble Games released Soul King this week. The strategy RPG challenges players to save the world of Moriatare from evil forces. Disney also released a new game this week: Disney Emoji Blitz. The match-three puzzle game allows users to make matches with Disney emoji symbols, and also unlock Disney emoji for use in the app’s custom keyboard. Elsewhere, Warner Bros. Interactive Entertainment and DC Entertainment launched Batman: Arkham Underworld. The base-building strategy game allows players to become villains and complete missions using the Riddler and other super villains from the Batman universe. Finally, Chillingo released Micro Machines, a multiplayer combat racing game, which allows players to compete in four-player classic races, elimination races and battle events. 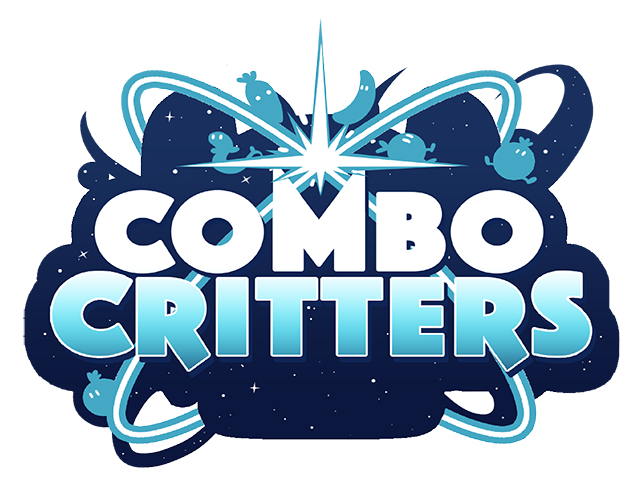 Combo Critters (Free on iOS, Android) – This animal collection and battling game from Lucky Kat Studios allows players to explore environments and battle wild animals in turn-based battles. Players have a chance to collect defeated animals for their teams. Users can also collect coins as they progress, which can be used to heal their animals after battles and to combine unwanted animals into stronger critters. In addition to battling wild animals, users can search for Twitter accounts and battle against their profile pictures. King of Avalon: Dragon Warfare (Free on iOS, Android) – This kingdom-building game from FunPlus and Kings Group Studio is set in the world of King Arthur’s legend, and it allows players to become rulers of their own kingdoms. Players will use resources to construct and upgrade buildings and defenses in their kingdoms, and they can also recruit units for their armies to take into battles. Units can also be sent to resource tiles on the world map to gather extra resources. Finally, players can raise their own fire-breathing dragons. Monster High Minis Mania (Free on iOS, Android) – From Animoca Brands, this time-management game asks players to help the students of Monster High serve guests in their cafes in order to earn money for a dance. Players can drag guests to different food stations, depending on their orders, and they can tap stations to make their servers fulfill their requests. As players complete levels, they’ll collect coins, which can be spent on new characters, as well as on upgrades for their cafes. For example, players can purchase additional food stations, or they can upgrade stations to decrease their serving times. Users can also purchase power-ups that can help them complete future stages. Switchy Sides (Free on iOS, Android) – This endless survival game from tastypill challenges players to help a square survive by tapping to make it move between the left and right sides of the screen to avoid moving and stationary obstacles. Users can collect stars as they play, which can be spent on new playable characters. In addition to endless games, Switchy Sides also includes level-based challenges to complete. Politaire (Free on iOS) – This card game from Pine Entertainment is a mix between solitaire and poker. In each game, players are challenged to remove every card from the pile by creating poker hands. Users begin with five cards in their hands, and they can send up to three cards back to the pile on each turn, which are replaced with new cards from the pile. When players create poker hands, such as pairs and flushes, the cards used in the hands will be removed from the deck. Games end when players use all of their cards in poker hands, or when they run out of available moves. Crush Your Enemies (Free on iOS, Android) – This real-time strategy game from Gambitious Digital Entertainment and Vile Monarch asks players to defeat enemies by moving groups of units around battlefields. In each battle, players can tap to move their unit groups into enemy territory, which they can claim before pushing forward. Users can recruit new units for their armies during stages by assigning troops to huts. These huts automatically generate new units so long as troops are in their squares. In addition to completing a single-player story mode, users can battle against other players in cross-platform multiplayer battles. Crush Your Enemies is also available on Steam. Zombie Island (Free on iOS) – This endless survival game from ZPlay allows players to become zombies with the goal of turning other humans into zombies for their armies. In each game, players can freely walk around environments, and they can turn humans into zombies by touching them. As players recruit additional zombies for their armies, these zombies will attack nearby humans automatically. While playing, users must watch out for enemies such as police officers, who will shoot at their zombies. Games end when every zombie has been killed. Users can collect coins as they play, which can be spent on new playable characters. Through the Fog (Free on iOS, Android) – From BoomBit, Through the Fog challenges players to tap at the right times to cause a moving line to zigzag across the screen to avoid obstacles. In each of the game’s seven levels, players can pass progress checkpoints in the environment, which allow them to avoid starting over from the beginning if they run into obstacles. However, players have a limited number of “retries” available, which recharge automatically over time. When players run out of retries, they can start levels from the beginning, or purchase retries instantly via in-app purchase. Users may also have the option to watch video ads to receive free retries. In addition to single-player gameplay, Through the Fog offers three multiplayer gameplay modes. Steps (Free on iOS, Android) – This endless survival game from Ketchapp and Tooflya challenges players to help their cubes survive by tapping to move them from one square to the next on the path while avoiding obstacles such as spikes and fans. In addition, the path behind players’ cubes will automatically disappear, so users must keep moving their cubes to survive. Gamers can collect currency as they play, which can be spent on new playable characters. Tiny Archers ($0.99 on iOS, Free on Android) – This tower defense game from 1DER Entertainment asks players to defend their towers by using archers to attack oncoming enemies. Tiny Archers includes more than 70 levels to complete, and users can attack enemies using three characters: a human, dwarf and fairy. Users can attack enemies by dragging their fingers to aim and lifting their fingers to fire. Users can upgrade their characters over time, and they can also unlock new skills and magic arrows. In addition to these new releases, here’s a look at some of the previously released games which have come to new platforms. Nanuleu from Selva Interactive – $2.99 on Android; previously released for $2.99 on iOS. Monster Math from makkajai – Free on Android; previously released for free on iOS. A premium version of the app is also now available for $5.99 on Android. The premium version was previously released for $5.99 on iOS.